St. Luke’s is looking for new voices to add to our list of Lay Readers. This is a perfect opportunity for new parishioners to get involved. All you have to do is read out loud one of the Lessons or Prayers of the People during the service. You would be asked to read approximately once every 6 – 8 weeks. Click on picture to contact The Rev. 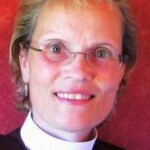 Diana Wilcox to learn more about becoming a Lay Reader.